With over 17 years of industry experience, Mr. Athy has held Executive positions at Lucent, Allegiance Telecom and CIMCO. He started his career with Lucent Technologies, where his roles included technical support engineering, marketing for emerging markets, traffic engineering, and finally, Global Sales Director for the MFS/WorldCom account. Mr. Athy has an MBA in Marketing/Strategy from Northwestern (Kellogg) University; an MSEE, with a concentration in Computer Engineering/Telecommunications, from Illinois Institute of Technology; and a BSEE from University of Illinois, Chicago. 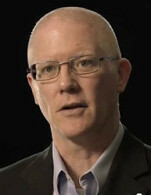 Kieran has served on the advisory boards of Vina Technologies, Iptima, and Optim Systems. He currently is on the advisory board of Consentry Networks and MDIAccess.